It's time we gave London a round of applause. I mean so far they've given us one of the greatest sports, two dashing princes, and One Direction. Throw in a couple of pretty great new names in Miami's food scene like Novikov and Chotto Matte, and you've got a standing ovation from me. 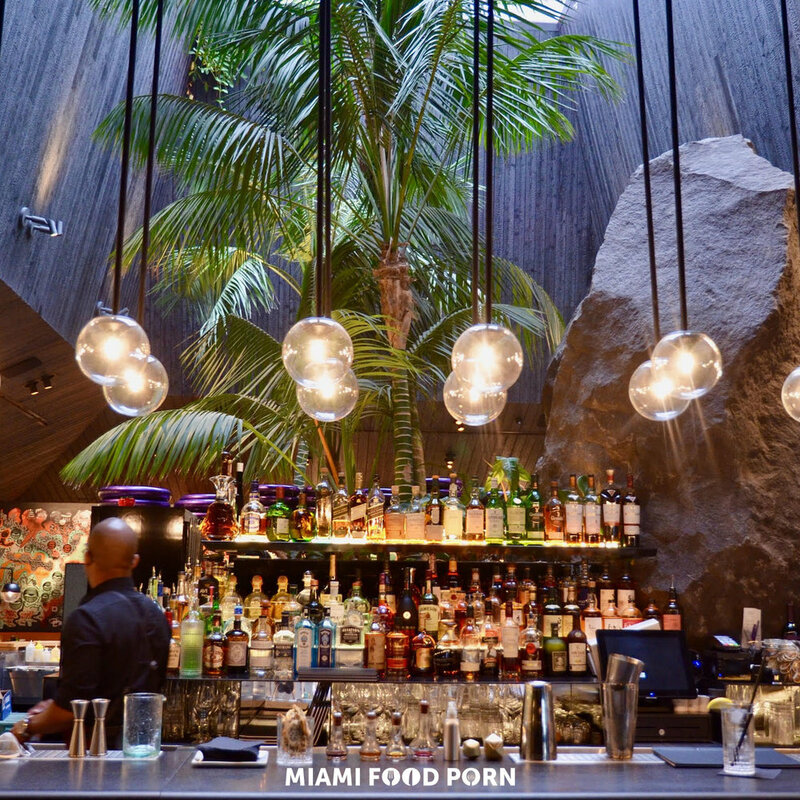 Located along an Art Deco alley off Lincoln Road and behind a sliding door, Chotto Matte is exceeding expectations, serving up Nikkei cuisine with a colorful lineup of sushi and sashimi, anticuchos and multiple tasting menus. If you're in the market for a hot date spot, this is your place. Begin the night at the bar situated underneath a retractable roof, where you'll find an impressive display of cocktails that are not only gorgeous and delicious, but STRONG. Let me paint a picture of the rest of the evening for you: Once you're nice and liq'ed up, make your way to the table while taking in the wynwood-esque art painted on seemingly every inch of the restaurant (Insider tip: Don't forget to check out the bathroom for more art). So go ahead and bring your date to Chotto Matte. If you don't bring her, someone else will (RIP Gerorge's).